ARE YOU A STORE, CLUB OR MONITOR? 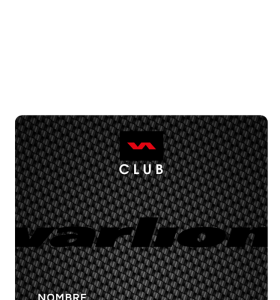 New Varlion Club loyalty program, totally changed, with many novelties and surprises designed exclusively for you. Fidelity has a prize, find out for yourself. What is the Varlion Club? 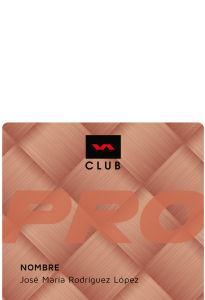 The Varlion Club is a loyalty program worldwide, whose rules will be applied to all customers who are partners and also to the professionals in the paddle sector who decide to participate and adhere to it. In this way, members can have benefits by purchasing products on our website and exclusive stores, and also in any other establishment (physical store, club or online store) that is attached to the Varlion Club, anywhere in the world. Through this new program, members of the Varlion Club will be classified in different levels according to their age and purchases made in the online store and physical stores. And, depending on the level, each client can access certain discounts for all purchases made at our exclusive points of sale (online store and physical store of San Sebastian de los Reyes, Madrid) as well as in physical stores, clubs and stores online adhered to the program. Yes, as you read, the new Club Varlion is open to everyone, whether you are a consumer or a wholesale customer. If you are a wholesaler and want to sell Varlion, you can benefit from being able to sell to our partners or invite your customers to join, and benefit both you and your customers from the advantages of belonging to the Club. Discounts on all your purchases. Become a member of the Varlion Club and you can access great discounts that vary from 20% to 40% on all your purchases of current collection products, exclusive models or Outlet opportunities, whether you buy at our exclusive points of sale (online store and Varlion Store of San Sebastián de los Reyes) as in the physical stores, online and clubs that are attached to the program. Outlet accessories and bags are excluded. Play with our padel rackets with Test & Buy service. Become a member of the Varlion Club and you can benefit from purchasing your racket from the new collection with the Test & Buy service, which allows you to buy the racket, test it for 72 hours and, if it does not convince you, we will refund your money. The Test & Buy also offers other possibilities, such as free change of model / weight of the racket in case the one you have chosen does not convince you. Click here for more information. Free shipping costs. Become a member of the Varlion Club and we will give you the shipping costs in Spain (excluding the Balearic Islands, Canary Islands, Ceuta and Melilla) if you buy through the online store and exceed the minimum order of € 100. In the case of the Balearic Islands, Canary Islands, Ceuta and Melilla, the minimum purchase is € 250. Offers and exclusive promotions. Become a member of Varlion Club and you’ll benefit from exclusive offers and promotions on our products, as well as discount promotional codes that we will send you by sending Newsletters, communication on the website and social networks. Participate in our events. Become a member of the Varlion Club and you will have preference when it comes to attending promotional events and corporate events of the brand, such as clinics with players, shovel testing, meetings, exhibition matches, etc. Raffles and gifts. Become a member of the Varlion Club and you can participate in the occasional raffles we make through social networks, and also take gifts for purchases made in our exclusive outlets. The Varlion Club loyalty program has been renewed even more in terms of its functionality. Now cards are virtual, not physical, so we avoid the risk of the legs and can not access the benefits that correspond to you as a member. It is important that you keep in mind that each card is personal and non-transferable; Only you can make use of it. For those members of the Varlion Club who have spent a total amount between € 750 and € 1,499 or who have been in the Club for more than 2 years. At this level, members get a 30% discount on all purchases. 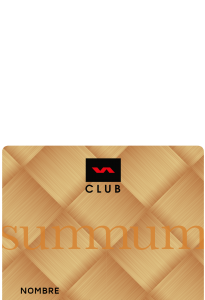 For those Club Varlion members who have spent more than 1,500 € or who have been in the Club for more than 3 years. At this level, members get a 40% discount on all purchases. We recommend you download the card on your mobile once you sign up to have it always at hand and make sure it is easily accessible at all times. To do this, you simply have to access your account through the website by entering your email and password, then go to the section of your personal data and, in the “Club Varlion” section you will have the option to download your card. Of course, you can also use this section to modify your personal data whenever you want. Each time you upload level you will need to access your personal account to download the new card. This is the simplest process. You simply have to access your Varlion Club account by entering your email and password, select the products you want to buy and the system will automatically apply the discount that corresponds to your cart, depending on the level to which you belong. Show the card on your mobile phone to the staff of the place to apply the discounts. The card shows your name, surnames, date of registration and member number. Once you make your purchase you will have to access a form on our website where we will request that you send us a legible photo of the ticket or purchase invoice. In a couple of days your ticket / invoice will be validated and your level will be updated if applicable, or you will accumulate Euros / Dollars in your boat until you get the necessary to level up. If you want to make any query related to the loyalty program, we recommend that you contact us by sending an email to contacto@varlion.com and a person from our Customer Service Department will answer you as soon as possible to give you all the information you need. Keep in mind that below you have a section of frequently asked questions. If you can not find the answer you are looking for, do not hesitate to contact us. Are you a Store, a Club or a Monitor? This new program not only thinks about the final consumer, but also about physical stores, online stores, clubs or monitors that are professionally dedicated to the world of paddle. If this is your case and you are part of this group, you will not be able to resist the advantages of belonging to the Varlion Club. It is formed by those stores, clubs or monitors that are dedicated to paddle professionally and are registered with a fiscal number of the country in question. They will be able to buy with a 40% discount on all their purchases while they make a minimum order of 500 € / US $ per purchase. Thanks to being a member of the Varlion Club as a professional, you can sell to our members with the same discounts as in our web / exclusive stores. To register in this mode, you must contact directly with our sales team at clubpro@varlion.com and they will ask you, as the case may be, for a series of formal requirements. Once the requirements are met, we will process your registration in the system. How do I apply for my Varlion Club card? It is very easy, enter the online store of the website through the PRODUCTS or OUTLET menu and click on the login icon that you can find at the top right. Then select the option “create my account” and follow the steps indicated on the screen below. Does being a member of the Varlion Club have any costs? No, it doesn’t. It’s a totally free program that anyone can access. We do not charge any kind of cost or maintenance. Does my Varlion Club card expire? No, it doesn’t. the card is promotional and has no expiration date. Is it possible that another person can enjoy my advantages? No, it’s not. Varlion Club card is personal and non-transferable. Each one has written the name, member number and date of registration of the client and only the owner can make use of it. Physical outlets have the right to request the identification document if it is deemed convenient. Does the promotions that I receive as a member expire? Yes, it does. 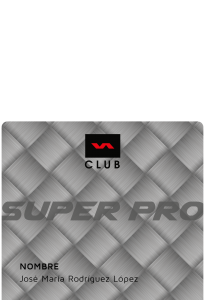 Every promotion or offer that we launch exclusively for Club Varlion members has an expiration date. Once overcome, you can not access the promotion even if you are a member of the Club. I do not have any application on my mobile to download the card. What I do? In general, all smartphones include an application that serves for users to download virtual cards (example: in iOS it is called Wallet). If your smartphone does not have any by default, there is a wide variety of free applications that you can install on your device. Find the one you like the most and use it to store your Club Varlion card. How are the cards downloaded to the mobile? Enter your Varlion Club member account through the email and password with which you registered and access the “Varlion Club” section within your personal information. There you will see a button that says “download card”. Each time you level up your card changes, so you will have to repeat this same process to download the new card that corresponds to your current level. I downloaded my card, but the data shown is not correct. Contact us by sending an email to contacto@varlion.com indicating what the incident is about and we will get to work to solve it as soon as possible. Does the Varlion Club card serve as a payment method? No, the Varlion Club membership card is merely informative. It is not a credit card nor does it serve as a promotional voucher to make purchases. At this level, members get a 20% discount on all purchases. If you want to make any query related to the loyalty program, we recommend that you contact us by sending an email to contacto@varlion.com and a person from our Customer Service Department will answer you as soon as possible to give you all the information you need. .
For you, we have thought of another different level, the Pro level. 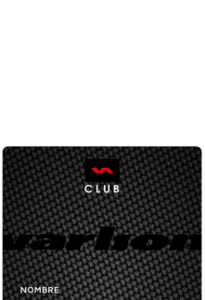 Being different, you will also have your own Club Varlion card. If you have any questions about the operation of the Varlion Club for professionals, write us to that same address and we will help you as much as possible.